Salena Baca Crochet – Page 3 – all day | every day! Get a stunning PDF version of this pattern on Ravelry for only $1.00, or use these instructions on my blog today for free! Other Materials: 4-7″ high x 4-7″ wide flower pot, 2″ hook screw (to hang), plant of choice. Round 1 (RS): Ch 3 (counts as 1st dc, now and throughout), 11 dc in ring, sl st to join—12 dc. Round 2: Ch 3, dc in same st, 2 dc in each st around, sl st to join—24 dc. Round 3: Ch 3, dc in same st, dc in next st, *2 dc in next st, dc in next st; repeat from * around, sl st to join—36 dc. Round 4: Ch 3, dc in same st, dc in next 2 sts, *2 dc in next st, dc in next 2 sts; repeat from * around, sl st to join—48 dc. Round 5: Ch 3, dc in same st, dc in next 3 sts, *2 dc in next st, dc in next 3 sts; repeat from * around, sl st to join—60 dc. Round 6: Ch 10 (counts as 1st sc, ch-9), [skip 9 sts, sc in next, ch 9] 5 times, sl st in 1st ch to join—6 sc, 6 ch-9 spaces. Round 7: Ch 1 (counts as 1st sc), 9 sc in 1st ch-9 space, 10 sc in each ch-9 space around, sl st in 1st ch to join, sl st in next 4 sts—60 sc. Round 10: Ch 101, [skip 9 sts, sc in next, ch 100] 5 times, sl st in 1st ch to join—6 ch-100 spaces (hangers). Assure long chains are neatly on sides, taking care not to tangle. Place plant into flower pot, then into herb holder. Gather 1 long ch at a time, until all 6 are held; adjust pot holder and plant as necessary. Assure 2” hook screw is securely in place and transfer all long chains onto hook. Yarn: Medium, weigh 4. Examples pictured with Vanna’s Choice by Lion Brand in Terracotta, Chocolate and Kelly Green. Tutorial made with Hobby Lobby I Love This Yarn in Burnt Pumpkin, Brown, and Mid Green. SDc: Spiked Double Crochet – Work double crochet St, except place this stitch 1 round below current position in round. Fpdc: Front Post Double Crochet – Click for a video tutorial. 1: (With Mid Green, and an H Hook) Leave a 4” tail (you will need this later), Ch 8, Sc into second Ch from hook, HDc into next two Sts, Dc into next st, work 2 Dc into next two Sts, Dc into last st then Ch 2 and connect with Sl St into same st.
2: (Turn to begin working on opposite / mirror side of Ch) Ch 2 and Dc into first st, work 2 Dc into next two Sts, Dc into next st, HDc into next two Sts, Sc into last st.
3: Ch 1 (do not turn work), Sl St across entire Left side of leaf, stop when work meets beginning tail, cut 4” tail and knot work. 1: (With Mid Green, and an H Hook) Leave a 4” tail (you will need this later), Ch 10, Sc into second Ch from hook, HDc into next two Sts, Dc into next three Sts, work 2 Tc into next two Sts, Tc into last st then Ch 3 and connect with Sl St into same st.
2: (Turn to begin working on opposite / mirror side of Ch) Ch 3 and Tc into first st, work 2 Tc into next two Sts, Dc into next three Sts, HDc into next two Sts, Sc into last st.
3: Ch 1 (do not turn work) and Sl St across entire Left side of leaf, stop when work meets beginning tail, cut 4” tail and knot work. Use tail ends from Leaves (Small and Large), and Vine (Small and Large) to fasten to hat. Position where desired, at Round 4 for all sizes. I’m participating in Design Wars again this week! You can read more about it over on our blog. I signed up for this challenge because I knew this yarn had to be transformed into a tote! Luster Sheen is a sport weight yarn that is woven to be very durable, doesn’t split, and does a brilliant job of holding up under a lot of weight. There are a hand-full of colors available in this line, and the tones pair together quite nicely; from classic colors like Black, Cherry Red, Natural and Vanilla, to more colorful options like Hot Pink, Ocean, Lime, Violet and Mid Blue. I love Cherry Red as a solid color option, and quite liked the way Natural, Lime, Mid Blue and Violet looked together! I designed Pam’s Market Tote for this challenge; it’s worked with an F hook, so it does take a bit of time to construct. I typically prefer quick results, so I had to remind myself to be patient with this design – I don’t work with sport weight very often, but the finished results are so very rewarding! Using this weight yarn allowed me to input more design elements into my tote; giving me more opportunity for detail, and giving me space to use more of this awesome stitch pattern! Pam’s Market Tote is written in two sizes; Medium: 12” tall x 20” around (10” flat), and Large: 12.5” tall x 25” around (12.5” flat). Each one has handles that sit comfortably on the shoulder, and should let the tote fit nicely under arm. I incorporated a drawstring with toggle bead, and two closure beads, for function. And, I just really love buttons and beads, so anytime I can add them to a project in a functional way that looks great, I’m excited! One last feature is the Clasp Cord; a cord with a bead on one end, and a Lobster Claw clasp on the other. I’ve designed this with a slit gap in the center so that it can easily be attached or removed to the handles of your tote. Use this for decoration, to hold your decorative key chains or loyalty rewards cards, or for your keys – it’s pretty, and it works! If you like this design, please join my Pam’s Market Tote Crochet Along Event on Facebook! We’ll be working together on this design until 30 September, and I’ll have a great prize for one lucky participant, too! This design is part of our challenge happening this week! You’ll save 40% off these patterns in my Ravelry Shop for the rest of the day! Click any image to find the pattern. No coupon necessary, discount will be applied at checkout! Yarn: Various yarn weights and types may be used to taste. Example pictured with Bernat Super Value in Magenta and Fern. Hook Size: Use a hook size that best accompanies yarn used. Button: Optional; 1″ button with 2 holes used. Varies depending on yarn used. Example flower measures approximately 4″, leaves measure approximately 2.5″. Round 7: Work the following into each ch 5 space around: sl st, ch 1, hdc, 3dc, hdc, ch 1, sl st (Picture 13; 6 petals made, 3rd layer complete). Fasten, weave tail end toward beginning tail and knot together on wrong side to conceal (Picture 14). Attaching Button: Cut 6” of yarn to thread button, pull each side of yarn in between hdc stitches from round 1 (Picture 15). Knot tail ends together fasten (picture 16), cut excess. Row 1: Leave a 3” tail, Ch 8, work the following: Sl St, Sc, HDc, Dc, Dc, Tc, 2 Tc, Tc, Ch 3, Sl St to join into last St of row. Row 2: Turn (work on opposite side of Ch), work the following: Ch 3, Tc, 2 Tc, Tc, Dc, Dc, HDc, Sc, Sl St.
Finishing: Ch 1, Sl St into each St across left side of leaf. When beginning tail is reached, cut a 3” tail, fasten. Using tails, fasten leaf to wrong side of flower. Attaching Felt and Clip: Cut two pieces of felt no larger than the first two layers of flower. Cut the top of 1 piece of felt. Insert clip between both pieces of felt (as pictured). Use a hot glue gun to glue felt pieces together, then glue felt to the back of your flower. Done! Yarn + Pattern Giveaway | PINK!!! Debbie Allen Richardson of Idaho State! All winners have 5 days to CONTACT ME via private message to claim their prizes; Please do so by sending me a private message on my FAN PAGE. This is my second huge giveaway in August! When this blog post has at least 150 comments (from 150 different users), I’ll randomly choose one of you to win this PINK themed giveaway! Every comment made on this blog post will count as an entry until 31 August. The winner will be announced here once this giveaway is closed. I’ll choose 5 other fans to win 2 patterns of choice from my ravelry shop, too! Get $2 off any purchase in my shop today with code >> GET2OFF << you can use it on any purchase you like, as many times as you like, until 17 August! CLICK HERE TO USE THIS COUPON TODAY! Brand New Pattern Flash Sale! Today only, get $2.00 off my Halle’s Caplet crochet pattern when you use code GET2OFF in my ravelry shop! This top-down design has an easy to make, polished neckline! The open-work design is great for warm weather, and can be layered for fall and winter wardrobes, too. The pattern is currently written in adult women sizes (36.5″ bust – 47.5″ bust). Enjoy this flash sale, and have a great week! PS – want to see this design in additional sizes? comment to let me know what you think! Kortney Burpee of Washington State! – 1 Huge box of full, partial and scrap yarn! When this blog post has at least 100 comments (from 100 different users), I’ll randomly choose one of you to win this August giveaway! Every comment made on this blog post will count as an entry from 11-17 August. The winner will be announced here once this giveaway is closed. FLASH SALE | Holiday Sparkle Christmas Stocking! I was in Design Wars this past week! For this challenge, I decided to follow in my annual tradition and make a Christmas stocking! I love the rich tones this line displays, and the Cream contrast to the Greens and Reds made this particular stitch pattern really stand out boldly. This yarn has so much rich color, depth, and texture without losing the stitch definition. Plus, this yarn is ideal for pompom making! Seriously, I’ve made the best pompoms ever with yarns just like this. Overall, this was the perfect yarn for my Holiday Sparkle Christmas Stocking design! This design is written in three sizes (Small, Medium, Large); each size is slightly larger than the last, giving these designs a traditional look that pair together in a classic way. You can make one for everyone in your family, and size each according to age (Large for Mom and Dad, Small for the kids). Or, you can make each one the same size. Whatever you choose, the brickwork design will make each stocking blend together perfectly, giving you years of holiday joy! Use coupon code DWSALE to get 40% off this design until 6 August in my revelry shop! Do you like my 2015 Christmas Stocking design? Comment below, and let me know what you think! 3,000 FAN CELEBRATION | 250 Free Patterns! I’m celebrating a huge milestone this week: 3,000 Facebook fans for Salena Baca Crochet! I always celebrate with my subscribers first, and have already given away 250 free patterns earlier this week via email! This is part two, to celebrate my 3,000 fan milestone, and I’m celebrating it right here! I’m giving away 250 more patterns today! 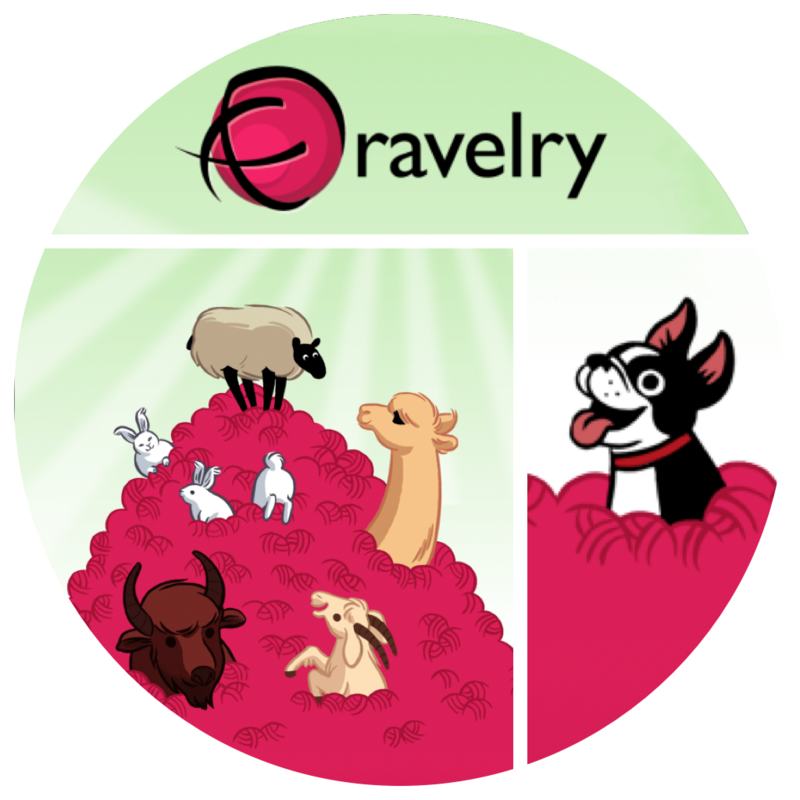 Click on over to my ravelry store and get 1 pattern of choice for free when you use coupon code THANKS at checkout. Only 250 uses will be available, and they will go quick! If you get a free pattern, please come back here and comment to let me know which one you got for free! When I get at least 100 comments, from different fans, then I’ll choose one of you to win 3 new skeins of yarn from my stock! Ready, set, go get your free pattern right now! Do you like new, premium patterns from top-named designers? If so, then you’ll love my monthly publication; The Pattern Pack! Each month I send 6 brand-new and premium crochet patterns from some of the best designers in the business! Each pattern normally sells for about $5 each (a $30 total value), but our packs are less than $10. Crazy right? But that’s not why I’m excited. I want to do something special, just for my readers. If you sign up for The Pattern Pack today you’ll get 50% off your first pack! All you have to do is enter the coupon code: 48HOURBONUS at checkout. I’ve got a brand new pattern in the current issue of The Pattern Pack – the Spiked Glasses Case! Get your copy of this pattern in my revelry shop today for only $3.00. you can get the entire issue of The Pattern Pack for less than $5.00! Just sign up for The Pattern Pack today you’ll get 50% off your first pack! Be sure to enter coupon code: 48HOURBONUS at checkout.